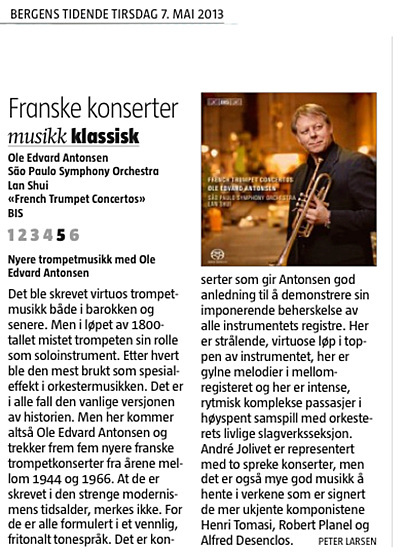 The first reviews of the new CD "French Trumpet Concertos" is out. 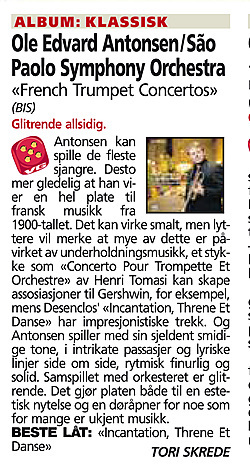 Norways largest newspaper, VG (Verdens Gang) gives the album a 5 (out of 6). "Trompetist med eminent klanglig overskudd"